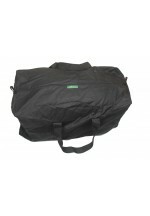 Overnight bag, camping, sports bag, work bag, shopping bag or travelling bag. You are invited to enjoy the high quality of our fabrics, excellent workmanship and affordability of our Aussie Carry Bag, 100% Australian made in our own factory located at Slacks Creek, Brisbane, Australia. Our Aussie Carry Bag is a soft duffle style utility bag with a surprising amount of room inside, and it will keep your gear dry. Features of our Aussie Carry Bag include: ► Made from excellent quality Oilskin or Durapel fabric (see tabs above All about o.. 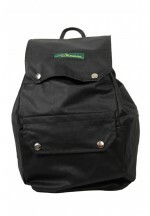 Keeps your stuff dry and safe while riding your motorcycle or push bike. You are invited to enjoy the high quality of our fabrics, excellent workmanship and affordability of our Aussie Motorcycle Back Pack, 100% Australian made in our own factory located at Slacks Creek, Brisbane, Australia. Features of our Aussie Motorcycle Back Pack include: ► Practical, secure, hard wearing backpack which is comfortable to carry and will keep your gear dry ► Fully lined and closes with internal drawstring concealed be.. 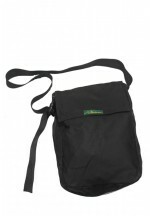 Fits perfectly on front or back of motorbike to carry your change of clothes etc for a long ride. You are invited to enjoy the high quality of our fabrics, excellent workmanship and affordability of our Aussie Motorcycle Carry Bag, 100% Australian made in our own factory located at Slacks Creek, Brisbane, Australia. Our Aussie Motorcycle Carry Bag is a soft duffle style bag with a surprising amount of room inside, and it will keep your gear dry. 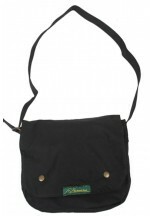 Features of our Aussie Carry Bag include: ► Made from excellent quality Oilskin or Durapel .. Carry this bag across your body or over your shoulder. You will be surprised how much gear you can fit into it. You are invited to enjoy the high quality of our fabrics, excellent workmanship and affordability of our Aussie Motorcycle Shoulder Bag / Cross Body Bag, 100% Australian made in our own factory located at Slacks Creek, Brisbane, Australia. Our Aussie Motorcycle Shoulder Bag / Cross Body Bag is a soft 8.5 litre bag which will take a lot of gear. Features of our Aussie Motorcycle Shoulder / Cross Body Bag include: ► Made from e..
Large size cross-body bag to protect your gear. You are invited to enjoy the high quality of our fabrics, excellent workmanship and affordability of our Aussie Motorcycle Shoulder Bag / Cross Body Bag, 100% Australian made in our own factory located at Slacks Creek, Brisbane, Australia. Our Aussie Motorcycle Shoulder Bag / Cross Body Bag is a soft 14.4 litre bag which will take a lot of gear. Features of our Aussie Motorcycle Shoulder / Cross Body Bag include: ► Made from excellent quality Oilskin or Durapel fabric (see tabs above All ..
Cross-body bag to keep your gear dry. You are invited to enjoy the high quality of our fabrics, excellent workmanship and affordability of our Aussie Motorcycle Satchel, 100% Australian made in our own factory located at Slacks Creek, Brisbane, Australia. Our Aussie Motorcycle Satchel is a soft bag, perfect for everyday use. Features of our Aussie Motorcycle Satchel include: ► Made from excellent quality Oilskin or Durapel fabric (see tabs above All about our Oilskin and Durapel fabrics) ► Keeps you.. 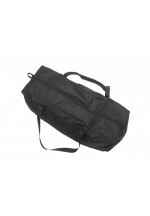 Sizeable bag for carrying camping gear, sports gear, travelling or perhaps for storing your treasured possessions. You are invited to enjoy the high quality of our fabrics, excellent workmanship and affordability of our Aussie Stowaway Bag, 100% Australian made in our own factory located at Slacks Creek, Brisbane, Australia. Our Aussie Stowaway Bag is a soft duffle style utility bag with an incredible 104 litres of room inside; and it will keep your gear dry. 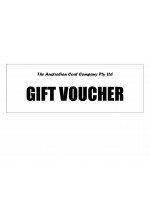 Features of our Aussie Carry Bag include: ► Made from excellent quality Oilsk.. Keeps your personal property dry and safe. You are invited to enjoy the high quality of our fabrics, excellent workmanship and affordability of our Claybourn Back Pack, 100% Australian made since 1910 in our own factory located at Slacks Creek, Brisbane, Australia. 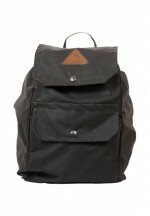 Features of our Claybourn Back Pack include: ► Practical, secure, hard wearing backpack which is comfortable to carry and will keep your gear dry ► Fully lined and closes with internal drawstring concealed beneath top flap to protect and secur.. Need a bag to store your oilskins or to pack into your suitcase? This is your perfect solution. 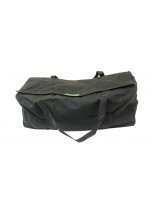 Our Oilskin Storage Bag will fit any size coat/jacket/vest/overpants. Easy to use - zips closed. The waxfinish on your coat will be protected. Make sure your coat is perfectly dry and stored away from heat which could make it sweat. Size 40cm / 15¾" x 50cm / 19¾" Have a question? Like more information? Need a different size? Contact Us ..